Antlion’s ModMic range has appealed to people for quite some time now, and the latest fifth generation is an accumulation of the constant feedback provided by its users. Better cable management, dual capsule design, stronger magnets – let’s find out if the ModMic 5 hits the mark. 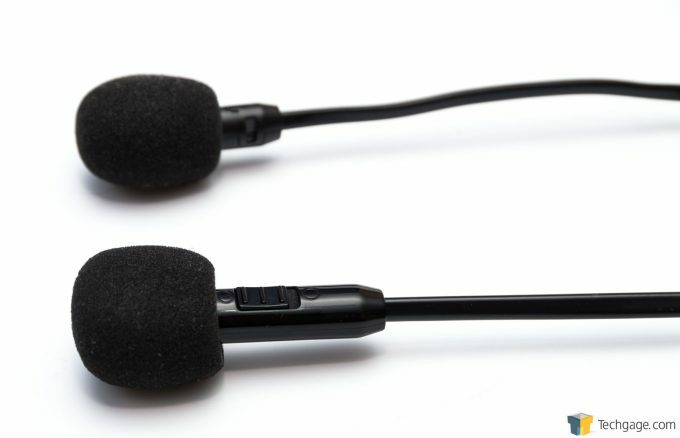 Not too long ago, we took a look at the ModMic 4 from Antlion Audio. The concept is simple enough; a microphone that you can attach to a premium pair of Hi-Fi headphones, turning them into a headset – because let’s be honest, a lot of gaming headsets just don’t cut it. We were suitably impressed with the mic, and is a recommended system for those wanting to convert their headphones into a headset. There was still some room for improvement, and the ModMic 5 aims to increase the modularity while extending functionality. 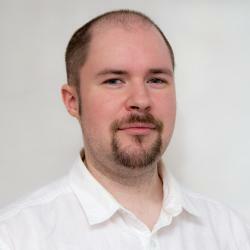 While we covered most of this before in our previous review, we’ll quickly go over the basics. 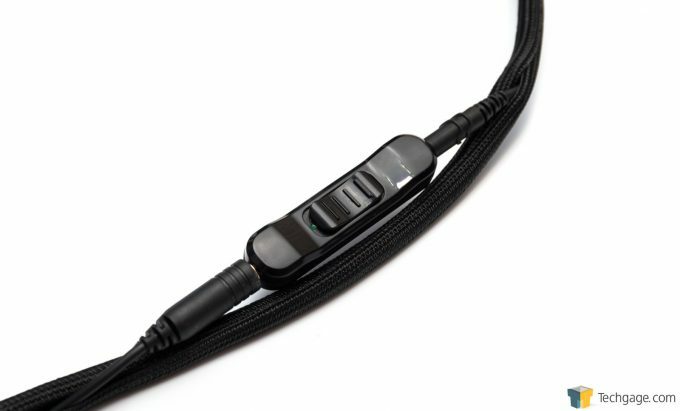 The ModMic uses a magnetic clasp that sticks to the side of a pair of headphones. This clasp uses a very strong adhesive that works with most plastics and metals, including mesh designs. It will struggle with some rubberized coatings, so try to affix the clasp to another material where possible. With the clasp in place, the mic then clips on and is held in place by the magnets. The clasp has some jaws that help keep it aligned, but also allows you to flip the mic up out-of-the-way. 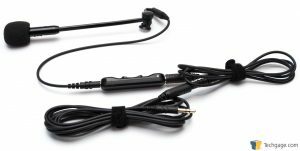 With a set of cable clips, the cable for the mic runs along in parallel with the headphone cable and then plugs into your soundcard. Boom, premium headphones turned into a headset. It’s a simple idea, but performed elegantly. The ModMic 5 doesn’t change the system, but it does provide some new flexibility and modularity, while also changing the single capsule design to a duel capsule. The tech specs are pretty much the same as the 4th model otherwise. 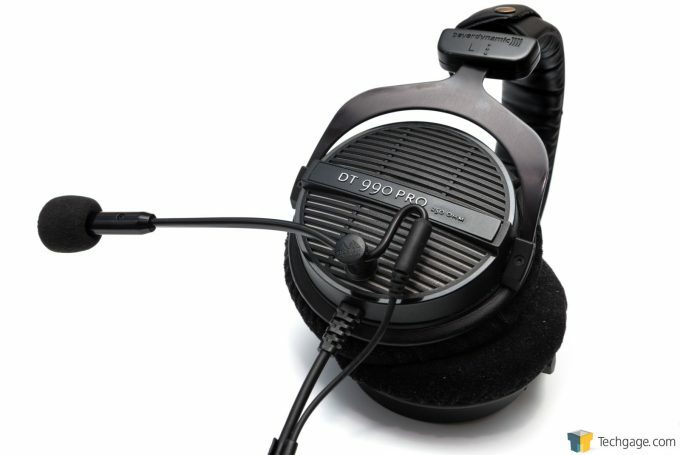 Compared to the ModMic 4, there are a couple of similarities. The magnetic clasp is the same, although slightly more powerful, and the condenser capsules are the same, but this time combined into a single unit. Beyond this, things become quite different. Keeping up with its namesake, the ModMic 5 is a lot more modular. 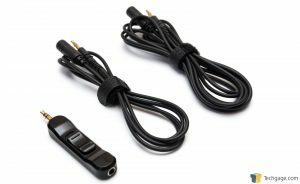 It forgoes a single (but incredibly long) cable, and instead replaces it with a 3-part system of two cable lengths and a mute switch. This means you can have the mic on a shorter cable, or a long one, ranging from 1m on the shortest length, 2m on the longer length, or plug them both together and get 3m… just in case your computer is in the other room. The cable quality is much improved too. We found the ModMic 4 cable to be incredibly stiff, easily tangled, and well…. just felt cheap. It was a hard rubber that liked to hold its packaged shape. The new cables are a much softer rubber that’s silky smooth and flexible. The different lengths also means we don’t have to deal with a huge excess dangling under the desk. While the ModMic 4 came with a couple tidy clips to keep the headphone and mic cables combined, over long stretches they still tangled up. Antlion has not only provided more clips, but also included a long stretch of a woven nylon cable-tidy that wraps around the entire length of the cable. It is a bit fiddly to apply, but it does keep the cables combined – unless you have a coiled cable like the DT990 Pro. One change to the ModMic 5 that I’m not too fond of, is the much sturdier boom arm. The original boom was both flexible and easy to contour. It was soft enough to bend into whatever shape you want, while strong enough to hold that shape when knocked. The new boom arm is basically a thick piece of steel, not dissimilar to a metal coat-hanger, and is a lot harder to bend. Perhaps the flexibility of the old boom arm meant that the wire could break more easily, but this new boom is a bit too stiff. Antlion also split off the mute switch, rather than integrating it such as with the ModMic 4. That was actually one of the sore points of the old ModMics, having to pay extra for a mute switch, as well as having four SKUs for the same microphone (two capsule designs with and without mutes). One small issue with the mute is that it’s not perfect; it doesn’t fully mute the mic. When the mute is engaged, volume decreases significantly, but not completely. This is likely the switch not fully disconnecting, allowing a tiny charge to still get through. For normal use, this isn’t really an issue, the volume is so quiet you’d need to apply a lot of gain to hear anything. This mute issue likely stems from the capsule design that all the ModMics have used, and that’s a biased condenser type. This condenser is a type of electret that requires external power to work properly. The external power is provided over the mic input of the soundcard, typically as a 5V bias power. This is not to be confused with Phantom power, which is 24-48V, and if you use Phantom power on the ModMic, you’ll likely blow it up. Most soundcards will provide bias power on the mic input, typically 2.5-5V, depending on the card. Most Macs and some cheap integrated Realtek audio chips, don’t provide bias power to the mic. In this case, you’ll need to get something like a USB soundcard with a mic input. This bias power factor is one of the main reasons why so many people have different experiences with the ModMic. While some have no issues, others have crackling, low gain/sensitivity, and other issues. Another (partial) complaint about the old mics were the choices between omni-directional and cardioid pickups – sometimes you just want both and switch between them on the fly. This is actually one of the exciting new features of the ModMic 5. The two capsules are exactly the same as the ones used in the different ModMic 4 SKUs, so sound quality will be exactly the same. This time though, you can switch between the two capsules with a little switch at the end of the boom arm. There is a partial downside to reusing the same capsules (the actual microphone bit), and that’s the EMI sensitivity of the cardioid capsule. The omni capsule is perfect; it’s clear and does a good job at keeping environmental noise to a minimum. The cardioid capsule helps isolate more of the background and increases sensitivity to the user’s voice, but certain 2.4GHz devices can cause a crackling or buzzing sound. In our review of the ModMic 4, we struggled initially to find the source of the problem, as there were a number of factors involved. The router’s aerials would cause a light crackling sound when in close proximity, but this quickly dropped off to non-existence after about 3ft. However, there was a buzzing sound that took a while to clear, as it was very persistent at greater distances. The source of the buzz happened to be from a cordless home phone base station. This buzz dropped off after about 12-15ft, but could easily be stopped by putting the monitor in the way of it. This buzzing problem carried over to the ModMic 5, since it uses the same capsule. This only affects the cardioid mode though, and it’s only certain 2.4GHz frequencies that can cause an issue. If you have a wireless access point right next to your PC, then you might come across some mild crackling if you are within close proximity. For most people this won’t be an issue, however, if things get particularly bad, you can switch the mic over to the omni mode, and the interference will stop.